Professor Bailey’s endorsement of the ‘London Is Open’ campaign represents LSBU’s solidarity as whole, supporting and celebrating the diversity, culture and economic opportunities that people from outside of the UK bring to the country. The campaign has been launched following the recent EU referendum, to show the world that London is united and open for business as usual. And will reassure nearly one million foreign nationals living in London that they will always be welcomed and discrimination will not be tolerated. The campaign comes at a time when there is a lot of uncertainty for many of London’s students, especially those in early stages of applying for courses and funding to study. Following the Brexit decision LSBU’s Vice Chancellor, Dave Phoenix has also reassured international and EU students, as well as those applying to study at LSBU, that he remains committed to ensuring that LSBU continues to be a welcoming, diverse and vibrant international community. Read Prof. Phoenix's full statement following Brexit. 'London Is Open' has received widespread support from the likes of Richard Branson, Google, Hilton, London Stock Exchange and Professor Edward Byrne AC, President & Principal, King’s College London, who are all encouraging businesses, immigrants and tourists to value the city. The campaign is in full swing with thousands following the Mayor’s lead by taking to social media to share images and videos of people opening doors with the hashtag #LondonIsOpen. A series of films will also be broadcast at major events to spread the message, the first of which will feature a star-studded lines-up with the likes of Jude Law, Jarvis Cocker, Olly Murs and international artists Sol Calero, Alexandre de Cuhn and Gillian Wearing interpreting the message behind #LondonIsOpen in their own creative way. 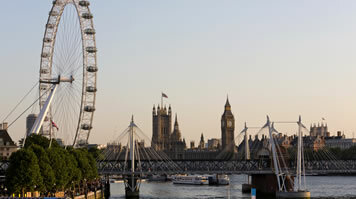 “London is a dynamic and creative city, full of culture, diversity, exciting opportunities and much more. “Part of what makes London such a wonderful place to be is the amazing mix of the people from around the world who come to the city, sharing their life experiences, knowledge and talent.